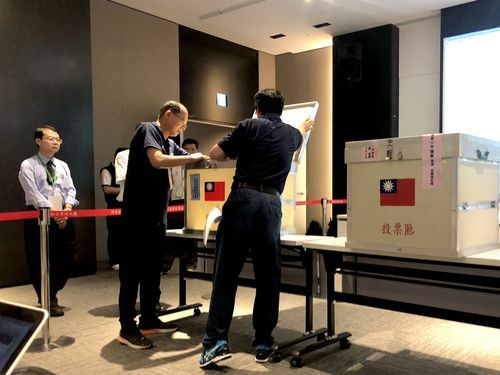 Taipei, May 19 (CNA) Jeffrey Koo, Jr. (辜仲諒), a major shareholder of CTBC Financial Holdings, was elected Saturday as the new chairman of the Chinese Taipei Baseball Association (CTBA). Koo won 1,025 votes out of the 1,138 ballots cast by association members, becoming the 12th chairman of the baseball association since its founding in 1973. He will replace incumbent CTBA Chairman Liao Cheng-ching (廖正井) in July. The chairman-elect is currently the owner of the ChinaTrust Brothers, one of four team in Taiwan's Chinese Professional Baseball League (CPBL). The other three are the Uni-President Lions, Lamigo Monkeys, and Fubon Guardians. According to the association, the CTBA will convene another meeting on May 31 to select chief supervisors and other top officers.